One stage of the work of the two previous ages took place in Israel; another took place in Judea. Generally speaking, neither stage of this work left Israel; they were the stages of work carried out among the initial chosen people. Thus, in the view of the Israelites, Jehovah God is only the God of the Israelites. Because of Jesus’ work in Judea, and because of His completion of the work of the crucifixion, from the perspective of the Jews, Jesus is the Redeemer of the Jewish people. He is solely the King of the Jews, not of any other people; He is not the Lord who redeems the English, nor the Lord who redeems the Americans, but He is the Lord who redeems the Israelites, and in Israel it is the Jews that He redeems. Actually, God is the Master of all things. He is the God of all creation. He is not only the God of the Israelites, and He is not only the God of the Jews; He is the God of all creation. The previous two stages of His work took place in Israel, and in this way, some conceptions have taken shape within people. People think that Jehovah was at work in Israel and Jesus Himself carried out His work in Judea—additionally, it was through incarnation that He was at work in Judea—and whatever the case, this work did not extend beyond Israel. He was not at work with the Egyptians; He was not at work with the Indians; He was only at work with the Israelites. People thus form various conceptions; additionally, they plan out God’s work within a certain scope. They say that when God is at work, it must be carried out among the chosen people and in Israel; save for the Israelites, God has no other recipient for His work, nor does He have any other scope for His work; they are particularly strict in “disciplining” the God incarnate, not permitting Him to move beyond the scope of Israel. Are these not all human conceptions? God made all of the heavens and earth and all things, and made all of creation; how could He restrict His work to only Israel? In that case, what use would there be for Him to make the entirety of His creation? He created the whole world; He has carried out His six-thousand-year management plan not only in Israel but also with every person in the universe. Regardless of whether they live in China, the United States, the United Kingdom or Russia, every person is a descendant of Adam; they have all been made by God. 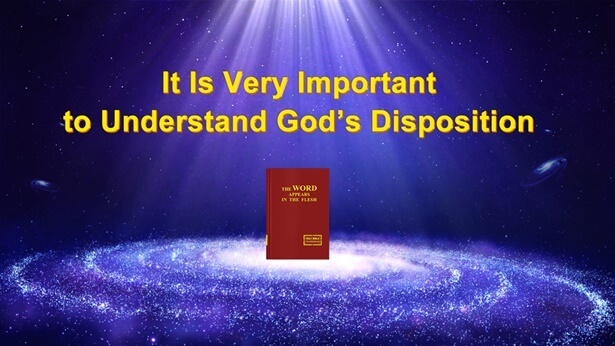 Not a single person can break away from the scope of God’s creation, and not a single person can escape the label of “descendant of Adam.” They are all God’s creation, and they are all Adam’s descendants; they are also the corrupted descendants of Adam and Eve. It is not only the Israelites who are God’s creation, but all people; nevertheless, some among creation have been cursed, and some have been blessed. There are many desirable things about the Israelites; God was initially at work with them because they were the least corrupt people. The Chinese pale in comparison to them, and cannot even hope to match them; thus, God initially worked among the people of Israel, and the second stage of His work was only carried out in Judea. As a result of this, people form many conceptions and many rules. Actually, if He were to act according to human conceptions, God would only be the God of the Israelites; in this manner He would be unable to expand His work into Gentile nations, because He would only be the God of the Israelites rather than the God of all creation. The prophecies said that Jehovah’s name would be great in the Gentile nations and that Jehovah’s name would be spread to the Gentile nations—why would they say this? If God were only the God of the Israelites, then He would only be at work in Israel. Furthermore, He would not expand this work, and He would not make this prophecy. Since He made this prophecy, He would need to expand His work into Gentile nations and into every nation and place. Since He stated this, He would thus do so. This is His plan, for He is the Lord who created the heavens and earth and all things, and the God of all creation. Regardless of whether He is at work with the Israelites or in all Judea, the work He does is the work of the entire universe and the work of all humanity. The work He does today in the nation of the great red dragon—in a Gentile nation—is still the work of all humanity. Israel can be the base for His work on earth; likewise, China can also become the base for His work among the Gentile nations. Has He not now fulfilled the prophecy that “the name of Jehovah will be great in the Gentile nations”? The first step of His work among the Gentile nations refers to this work He is doing in the nation of the great red dragon. For the God incarnate to be at work in this land and to be at work among these cursed people runs particularly contrary to human conceptions; these people are the most lowly and without any worth. These are all people whom Jehovah initially abandoned. People can be abandoned by other people, but if they are abandoned by God, these people will have no status, and they will have the lowest amount of worth. As a part of creation, being occupied by Satan or abandoned by other people are both painful things, but if a part of creation is abandoned by the Lord of creation, this signifies that his or her status is at an absolute low. The descendants of Moab were cursed, and they were born in this underdeveloped country; without a doubt, the descendants of Moab are the people with the lowest status under the influence of darkness. Because these people possessed the lowest status in the past, the work done among them is most capable of shattering human conceptions, and it is also the work most beneficial to His entire six-thousand-year management plan. For Him to work among these people is the action most capable of shattering human conceptions; with this He launches an era; with this He shatters all human conceptions; with this He ends the work of the entire Age of Grace. His initial work was carried out in Judea, within the scope of Israel; in Gentile nations He did not do any era-launching work whatsoever. The final stage of His work is not only carried out among the people of Gentile nations; even more so, it is carried out among those cursed people. This one point is the evidence most capable of humiliating Satan; thus, God “becomes” the God of all creation in the universe and becomes the Lord of all things, the object of worship for everything with life. There are currently some people who still do not understand what kind of new work God has launched. God has made a new beginning in Gentile nations and has begun another era and launched another work, and He is at work among the descendants of Moab. Is this not His newest work? No one throughout the ages has experienced this work, nor has anyone heard of it, much less appreciated it. 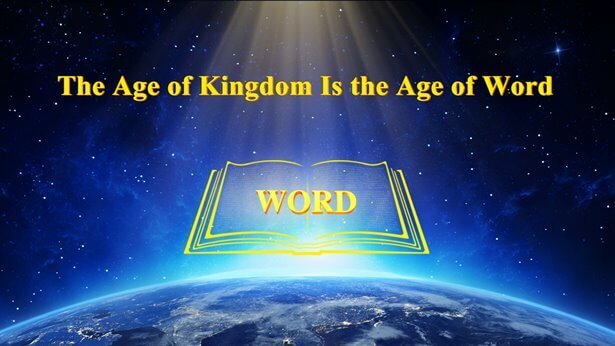 God’s wisdom, God’s wonder, God’s unfathomability, God’s greatness, God’s holiness rely on this stage of work in the last days, to emerge clearly. Is this not new work that is shattering human conceptions? There are still those who think thusly: “Since God cursed Moab and said that He would abandon Moab’s descendants, how could He save them now?” They are those people from Gentile nations who were cursed and forced out of Israel; the Israelites called them “Gentile dogs.” In everyone’s view, they are not only Gentile dogs, but even worse, the sons of destruction; in other words, they are not God’s chosen people. Although they were originally born within the scope of Israel, they are not part of the people of Israel; they were also expelled to Gentile nations. They are the lowliest people. It is precisely because they are the lowliest among humanity that God carries out His work of launching a new age among them, for they are representative of corrupt humanity. God’s work is not without selectiveness or purpose, the work He carries out among these people today is also work carried out among creation. Noah was part of creation, as are his descendants. Anyone in the world with flesh and blood is part of creation. God’s work is directed at all of creation; it is not carried out according to whether one has been cursed after having been created. His management work is directed at all of creation, not those chosen people who have not been cursed. Since God wishes to carry out His work among His creation, He will certainly carry it out to successful completion; He will work among those people who are beneficial to His work. Therefore, He shatters all conventions in working among people; to Him, the words “cursed,” “chastised” and “blessed” are meaningless! The Jewish people are quite good, and the chosen people of Israel are not bad either; they are people of good caliber and humanity. Jehovah initially launched His work among them and carried out His initial work, but it would be meaningless if He were to use them as recipients for His conquering work now. Although they are also part of creation and have many positive aspects, it would be meaningless to carry out this stage of work among them. He would be unable to conquer anyone, nor would He be able to convince all of creation. This is the significance of the transferal of His work to these people of the nation of the great red dragon. The deepest meaning here is in His launching an era, in His shattering of all rules and all human conceptions and also in His ending of the work of the entire Age of Grace. If His current work were carried out among the Israelites, by the time His six-thousand-year management plan comes to a close, everyone would believe that God is only the God of the Israelites, that only the Israelites are God’s chosen people, that only the Israelites deserve to inherit God’s blessing and promise. During the last days, God is incarnate in the Gentile nation of the great red dragon; He has accomplished the work of God as the God of all creation; He has completed the whole of His management work, and He will end the central part of His work in the nation of the great red dragon. The core of these three stages of work is the salvation of man—namely, making all of creation worship the Lord of creation. Therefore, every stage of this work is very meaningful; God absolutely will not do something without meaning or value. On one hand, this stage of work consists of launching an era and ending the previous two ages; on the other hand it consists of shattering all human conceptions and all old ways of human belief and knowledge. The work of the previous two ages was carried out according to different human conceptions; this stage, however, completely eliminates human conceptions, thereby completely conquering humanity. Using the conquest of the descendants of Moab and using the work carried out among the descendants of Moab, God will conquer all of humanity in the entire universe. This is the deepest significance of this stage of His work, and it is the most valuable aspect of this stage of His work. Even if you now know that your own status is lowly and that you are of low worth, you will still feel that you have met with the most joyous thing: You have inherited a great blessing, obtained a great promise, and you can complete this great work of God, and you can see God’s true countenance, know God’s inherent disposition, and do God’s will. The previous two stages of God’s work were carried out in Israel. If this stage of His work during the last days were still carried out among the Israelites, not only would all of creation believe that only the Israelites were God’s chosen people, but God’s entire management plan would also not attain its desired effect. During the period in which the two stages of His work were carried out in Israel, no new work had ever been carried out and none of God’s era-launching work had ever been carried out in Gentile nations. This stage of era-launching work is first carried out in Gentile nations, and additionally, it is first carried out among the descendants of Moab; this has launched the entire era. God has shattered any knowledge contained within human conceptions and has not permitted any of it to continue to exist. In His work of conquering He has shattered human conceptions, those old, earlier human ways of knowledge. He lets people see that with God there are no rules, that there is nothing old about God, that the work He does is entirely liberated, entirely free, that He is right in anything that He does. You must fully submit to any work that He does among creation. Any work He does is meaningful and is done according to His own will and wisdom and not according to human choices and conceptions. He does those things that are beneficial to His work; if something is not beneficial to His work He will not do it, no matter how good it is! He works and selects the recipient and location for His work according to the meaning and purpose of His work. He does not adhere to past rules, nor does He follow old formulas; instead, He plans His work according to the work’s significance; in the end He wants to attain its true effect and its anticipated purpose. If you do not understand these things now, this work will not achieve any effect upon you.